With the expertise of our team, we are able to manufacture and export a wide array of Mill Duty Hydraulic Cylinders, which can be used for different types of applications. Moreover, our entire range is well checked on quality parameters to match with the international industrial standards. These can be availed by the clients in customized form as per their needs. Our offered products are stringently checked by the quality controllers on varied parameters to ensure its proper functioning. We are offering Mill Duty Hydraulic Cylinders to our clients. As per ISO 6020/2, ISO 6022. 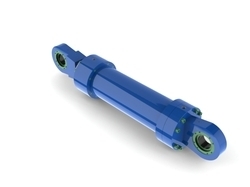 Looking for Mill Duty Hydraulic Cylinders ?